Gut Flora and Cancer – The Link Exposed! You are here: Home / Cancer Prevention / Gut Flora and Cancer – The Link Exposed! Let’s talk about your gut flora and cancer! You may not realize just how important your bowel condition (known as the microbiome) is to cancer prevention. Cultivating beneficial gut bacteria is your first line of defense against cancer and many other serious diseases. It does this by boosting your immune system at the places you’re almost always hit first with − toxins, heavy metals, parasites, fungi, and harmful bacteria. Nurturing the system that protects you from so many layers of possible invasion of foreign contaminants should be common sense. But you’d be shocked how many in the medical community don’t recognize the importance of the gastrointestinal system in total health. Research from the University of Chicago found that boosting mice gut bacteria (specifically with Bifidobacterium) equaled the results of immunotherapy (using your body’s immune system to attack cancer) in slowing the growth of melanoma cancer cells! They then combined the two (gut bacteria and immunotherapy) modalities and achieved success that was comparable to anti-cancer drugs. Another study referenced in the Bloomberg article was one from France. Researchers noted that some healthy gut flora was activated when immunotherapy was administered. We’re talking about fighting cancer without destroying all the healthy cells in your body! Using your own body to fight for you − not creating a nuclear wasteland of your healthy cells (and absolutely leveling your immune system). Gut health and cancer prevention go hand in hand. I’ve been shouting this from the rooftops since the 1980s while getting shut down by the medical and pharmaceutical establishments. It appears that mainstream scientists and doctors are finally seeing that there are better ways to fight cancer than destroying your entire body in the process. For years, I’ve pointed to the overuse of antibiotics as a leading cause in the rise of cancer cases. Destroying what keeps you healthy simply isn’t a good method of treatment. 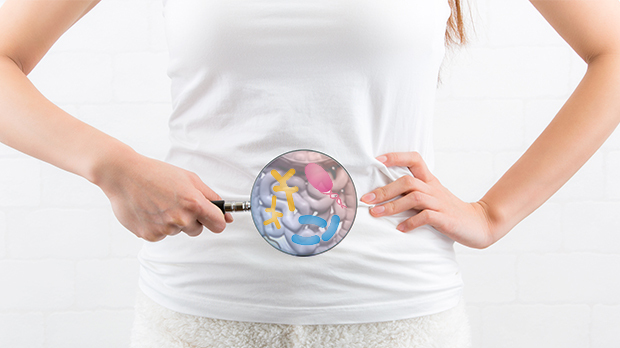 Building up your gut microbiome is the way to prevent cancer, fight cancer, and live a longer, healthier life overall. 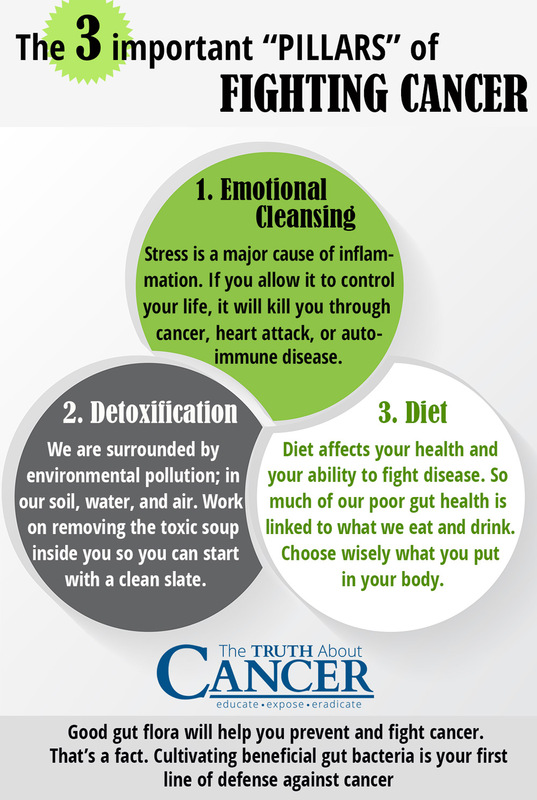 There are three important “PILLARS” of fighting cancer… all of which help to improve gastrointestinal system health. PILLAR ONE – Emotional Cleansing: Stress is known in the traditional and alternative communities as a major cause of inflammation. It is one thing everyone agrees on (though traditional medicine’s answer is another prescription). Inflammation is a building block of all known diseases. In other words, stress will kill you through cancer, heart attack, or autoimmune disease − if you allow it to control your life. PILLAR TWO – Detoxification: Personal pollution is as dire as environmental pollution, and we are surrounded by both at every turn. There is a host of contaminants in our soil, water, and air. That means these toxins are also in our food supply. The control lies with you. You can control what you put on your body, what you put in your body, and how you maintain the environments you live in most (your home and work space). Then you need to work on removing the toxic soup inside you so you can start with a clean slate. PILLAR THREE – Diet: Anyone (medical professional or otherwise) who tells you that diet does not affect your health or ability to fight disease is a liar. Period. Diet is everything. What you choose to put in your mouth may mean the difference between life and death. So much of our poor gut health is linked to what we eat and drink. The fastest way to build and strengthen your beneficial bacteria is following these three pillars and then applying them in every area of your life. Gut health and cancer prevention belong together. It is likely the primary reason native peoples have a non-existent rate of cancer. They have far lower exposure to toxins, are not inundated with stress, and consume a diet of natural, raw foods (definitely more of a hunter-gatherer way of life) that aren’t processed. They also don’t fill their bodies (or the bodies of their children) with antibiotics at every turn. In fact, they have no exposure to pharmaceutical drugs at all! I find that to be one of the most telling differences. I abhor the profit-hunger of the pharmaceutical industry as a whole (and realize their interest is solely to find another income stream). But I am really shocked that they’re exploring this avenue of research. Unfortunately, it will probably develop into some “miracle” pill that implants synthetic microbiome organisms in your gut to replace the ones you have naturally. You know anything “natural” is ultimately exploited and mutated for profit. Roche AstraZeneca is looking at their research in a cancer-treatment capacity. If they develop a cancer therapy that depends on healthy gut bacteria, they’re going to own the patent. They’re going to rake in incredible profits, and only those who can afford it will have access. That’s why it’s critical that you start building up your personal microbiome now. The one that’s living in your gut right now… just waiting to help you. Swallowing probiotics will cost you a fortune and the chances of success are slim. These organisms simply don’t thrive in a bad environment. The three pillars are crucial. Start with emotional cleansing and detoxification. Phase One: Incorporate the food source that healthy gut bacteria eat to survive, in the form of pre-biotics. Jerusalem artichokes, chicory, garlic, onions, leek, shallots, asparagus, beetroot, dandelion greens, fennel, peas, cabbage, nuts, and seeds. Phase Two: Incorporate a variety of probiotic foods to diversify the healthy bacteria in your gut. Active-culture yogurt, kefir, kombucha tea, tempeh, kimchi, sauerkraut, pickled veggies (in brine – not vinegar), fermented meat (eg. corned beef), and fish (sardines). If you can, you simply must choose to breastfeed your newborn. Breast milk is an amazing source of natural prebiotic compounds. There’s no other substance like it on earth for the good stuff. Baby picks up bacteria from the mom’s vaginal canal and gets prebiotic nourishment for the bacteria from breast milk. The gut health and cancer connection is real. There is no reason you can’t start eating today for cancer prevention or to fight this horrific disease. I believe in the human microbiome and I know you will, too. Once you start loving your gut, you’re going to feel incredible! Antibiotics disrupt your gut flora in a similar way that chemotherapy affects the human body. Chemotherapy wipes out perfectly healthy, non-cancerous cells inside you along with the cancerous cells. Similarly, antibiotics wipe out all bacteria (the bad kind as well as the good kind you can’t live without). There are three important “PILLARS” of fighting cancer… all of which help to improve gastrointestinal system health. Yes, enteropathy/leaky gut is what I had, and that is an environmental issue: we are taking in allergenic hybridized/modified foods, agricultural pollutants, and general pollutants that are slowly killing us. The comment I’ve seen from a functional medicine practitioner is that 78% of health problems are “lifestyle-related” (i.e. environmental). Genetic issues are a relatively small portion, though most MDs would rather blame problems on genetics, than spend the huge amount of time required to sort through environmental factors, which they are not trained about anyway. I suffer from histamine intolerance and cannot consume fermented foods. Does anyone know how I can repair my gut without ingesting fermented foods and other histamine containing or releasing foods? IMO, your best “anyone” would be a licensed naturopath who can test you on a comprehensive set of parameters. Well said! Being omnivorous may have allowed us to thrive through circumstances that were not only extreme but extremely different than other survivable-for-omnivore circumstances. Imagine how the world would look if humans were essential carnivores like the feline family! I like to imagine how it would look if humans were all vegetarian AND there was always enough for everyone. Protein comes from all the nuts, seeds, beans & pulses. I also have Almond milk in my tea. I don’t have cancer but try as best I can to eat and live by a healthy diet and lifestyle,but know many who have had it and who have lost out through chemo. I wish all this info had been around before …. Anne – I don’t know which brand of Almond Milk you use, but you might want to check the ingredient list. The almond milks I’ve seen have stacked multiple toxic / carcinogenic fluids as stabilizers/preservatives. The last one I looked at struck me as about as toxic as oil fracking wastewater. Hi Dean. Thanks for this info. I am have booked in to see a naturopath who said they have a strong herbal mix that helps eliminate this bacteria. I will also mention the charcoal etc, as this also sounds promising. Thank you. Michelle, what are naturopathic doctors like? Are they very good at treating terminal cancer? What do naturopathic doctors make patients do in order to feel better in health and emotionally? Hi Sylvia. I believe naturopaths address the cause rather than the symptoms using a natural approach ie: herbs etc, rather than prescription medication from a pharmacy. I’m not sure with the terminal cancer but I have heard and personally observed terminal cancer and other illness’s being cured using a natural approach as Ty states. I believe our emotional state plays a huge part in this. Michelle, I have never been so a homeopathic doctor, so I do not know much about them. My father does not trust homeopathic doctors. He thinks that they are nothing but quakes. He told me if I ever get cancer, I should do the conventional therapies, not the alternative ones. In your opinion, do you think that he is right? I know that in the homeopathic doctors that I have in Canada, they have intravenous therapies, acupuncture, saunas, meditation, and holistic medicine, but I am not sure that it would work on terminal cancer patients. Four years ago, a little toddler had meningitis and his parents took him to a homeopathic doctor instead of a regular doctor and he died. Sylvia, I think it is a personal choice and we should all go with what we believe in or should I say we should all listen to our inner voice. Not sure if you watched the TTAC serious? If you haven’t it is definitely worth watching, as it really opens your eyes as to what the big pharma are doing. It’s a huge money making business to them. Michelle, I did watch ‘The Truth About Cancer’ and I have enjoyed the series very much. This series touched me a great deal and I did hear about the horrors of chemotherapy and radiation therapy which just made the cancer patients even sicker and they died. I did not share this series with my father and my sister who is a rheumatologist, because they would not believe in those treatments. They told me that it is nothing but nonsense about terminal cancer patients surviving and becoming very healthy again, because of the alternative therapies that they tried. They told me that they probably did not have cancer the first place. When I have told them that the chemotherapy and radiation therapy probably killed those terminal cancer patients, they have told me that the cancer killed them, not the conventional treatments. I do not trust big pharma at all. I even heard that mammograms cause breast cancer, especially if the person started earlier than the average, because of their family history of breast cancer. I have heard that tomography is better at detecting breast cancer on women than mammograms. The tomography can even guess the number of years that the tumor might had been in. The TTAC said that if a breast cancer lump is a size of a pea, it must had been there for 8 to 12 years according to tomography. Thank you Dean, I used almost 2 bottles of the Activated Charcoal and it really helped with the Diverticulosis that developed after treatment. It is hard to take it 4 hours away from food though. I was waking in the night sometimes to take it. Thank you Herta, I will look into this oil. Hi everyone. 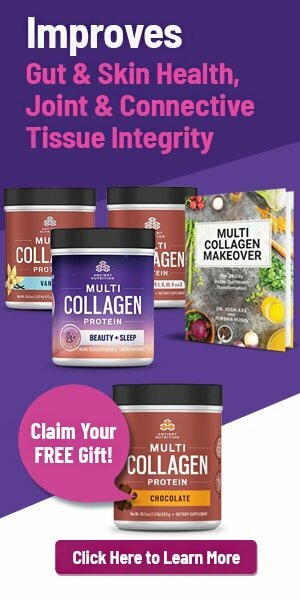 Do any of you know about Plexus, I know they are supposed to be plant based and there is one supplement that they say is for your gut health called ProBio5 and BioCleanse is supposed to oxygenate your blood too. As well as any foreign animal protein…this isn’t news but very few will acknowledge the fact. How interesting,about cattail being edible!!! ,I guess we’ll be eating some of that cattail,huh? My hands didn’t like them too much,but my mouth did! Joe, please look into the enzyme, Serrapeptase. 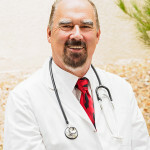 Beating Cancer with Nutrition by Patrick Quillin and Cancer Treatment Center’s of America have the best and most comprehensive synergistic program you can use to beat cancer. Conventional doctors gave my mom 4 months with stage 4 breast cancer. With CTCA and a radical sugar free, non GMO fresh food and 44 oz per day smoothie/juicing diet, she lived 9 more years.